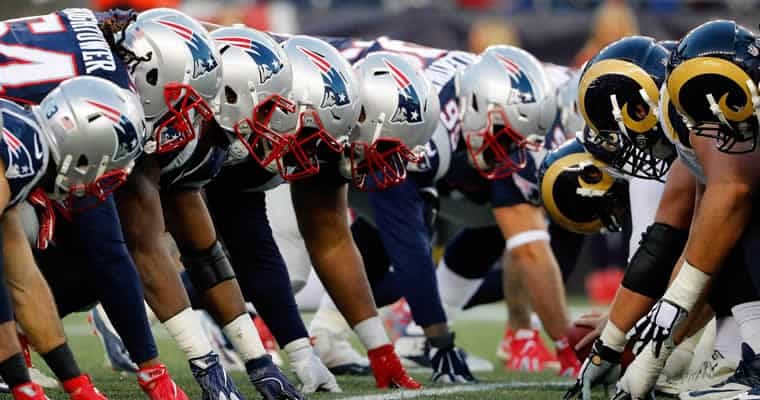 Heading into Super Bowl 53 tomorrow, both the New England Patriots and the Los Angeles Rams appear to have relatively few injuries across the depth chart. Both teams released their injury reports earlier this week and each side has only two players listed as questionable. However, both coaches have stated that the players listed have made progress and are slated to suit up tomorrow’s matchup at 6:30 p.m. ET. Bovada currently has the Patriots listed as a 3.0-point favorite with the over/under for the game set to 56.5 total points. Below is the complete injury report and what Patriots coach Bill Belichick and Rams coach Sean McVay said on their status for Super Bowl Sunday. Status: Brown was a limited participant in practice on Wednesday because of a calf injury but was a full participant in practice on Thursday and Friday. Belichick said expects Brown to suit up on Sunday. Status: Hightower was held out of practice on Thursday and Friday because of illness. Belichick said the starting outside linebacker is currently being evaluated but should be ready for Sunday’s game. Status: Zuerlein was limited in practice on Wednesday and Thursday but was a full participant in Friday’s practice. McVay said he’s been dealing with a minor foot injury since the NFC championship and has been held out as a precaution, but fully expect him to be ready to go. Status: Countess has also been dealing with a foot injury since the NFC championship game and did not participate in Wednesday’s practice. However, he was a limited participant in Thursday’s and Friday’s practice and McVay said he expects the backup strong safety to be ready for the Super Bowl.